Yesterday I wrote about a new ordering mode that includes pictures next to product names. 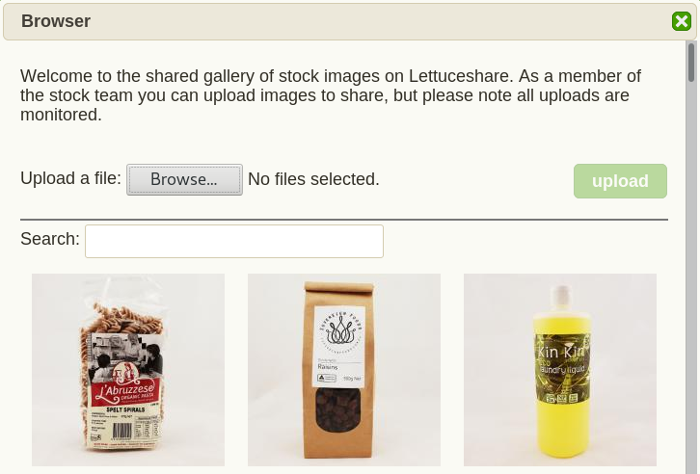 Today I want to run through how your stock team can use some new features on the stock page to upload your own images. When you take a photos of your products and upload them, they will be visible to your group straight away, but other groups will also be able to use them for their own products. The first step is to go to the stock page and click the Edit Display button at the top of the page. A dialog will open like the one in this screenshot, click the Image checkbox to add the Image column to the grid. When you click an image in the grid, a larger version of the image will be displayed along with options to Edit and Remove the image. Click Edit to browse all shared images. A new dialog will open which will allow you to select from existing shared images or upload new ones. When you click the Browse button, your web browser will allow you to select one or more files from your computer. When you close that window the images you selected should start uploading automatically. If they don't you can just click the upload button to get them started. When an image has finished uploading it will appear in this dialog as the first image listed, so you can then select it. 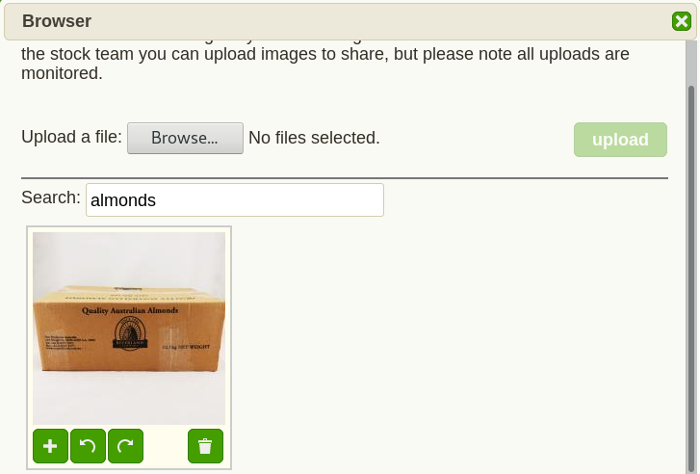 Once you've found the image you want to use, click it to display the buttons as shown above. You won't be able to rotate or remove shared images, so the only button you want to use here is the add button, which will apply this image to the product selected in the grid.